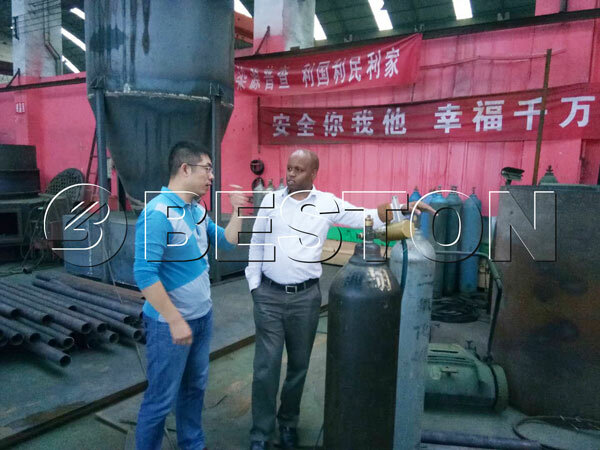 Recently, the customer from Kenya visited Beston charcoal making machine factory and showed great interests in the rice husk carbonizer. According to the customer, the charcoal making machine in Kenya has become very popular in most rural areas, especially in the areas where there are a large number of plantations of grains. The needs for a carbonization furnace which can turn the wasted rice husk into profitable fuels have also increased in recent years. However, owing to the undeveloped technologies and industrial manufacturing, the local machines cannot meet the requirement at present. Therefore, they ask for much more advanced and efficient biochar making machines. 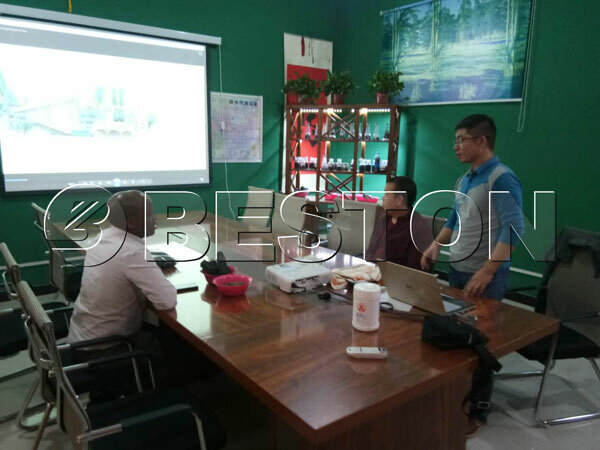 After listening to the introduction to their local situation of the charcoal machine of the customer, our experienced sales consultant introduced Beston latest charcoal making machine designs and explained the features and benefits of the machine. Later, they had a conference in the meeting room of the factory to talk about the detailed working principles of the rice husk charcoal machine. The customer was very satisfied with Beston’s warm welcome and considerate reception. What’s more, he was very interested in our latest design and planned to set up a rice husk charcoal making machine under the help of Beston. We are very happy that our plants can be recognized by more and more customers from every corner of the world. We believe waste recycling, especially biomass energy recycling will continue to be one of the good issues to talk in the future world. 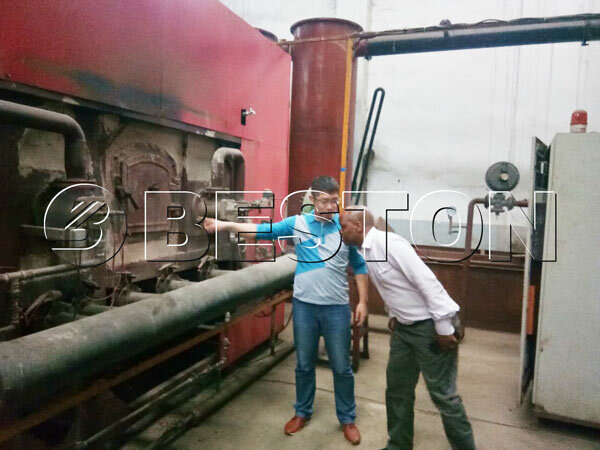 If you want to produce charcoal from biomass, you can fully rely on Beston.